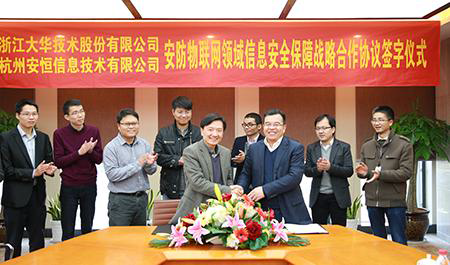 HANGZHOU, CHINA/January 05, 2016 — Dahua and DBAPP Security Ltd. signed a strategic agreement to establish a “Safety Eco-system” in the field of IoT security. Mr. Fu Liquan, Chairman and CEO of Zhejiang Dahua Technology Co., Ltd., and Mr.Fan Yuan, Chairman and CEO of DBAPP Security Ltd. participated in the signing ceremony. DBAPP Security Ltd., a leading company focusing on data security and web application security in China, is one of the most favorite and the most trustworthy brand in the information security fields for government &military, public security, telecommunications, finance, energy and IoT. 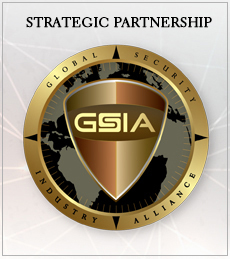 It offered comprehensive network information security service to major events, such as the seventieth anniversary of the victory of China's Resistance War against Japanese Aggression, 3 sessions of World Internet Conference in a roll, as well as G20 Summit in Hangzhou. The IoT industry cannot prosper without the assurance of safety. All around the globe, vicious network security events are presenting major challenges to the industry. Dahua prioritizes R&D investment to focus on the development of safer products, especially in the territory of information security. Dahua initiated in depth cooperation with DBAPP Security regarding security situation awareness, cyber safeness assessment and IoT security personnel training, so that Dahua could deliver products, solutions and services with high standard in cyber security. In this era of IoT, where new IoT business and technologies quickly develops, the need for information security is escalating. Dahua and DBAPP Security will put together an IoT Network Security Threat Intelligence Team, to look into the collection, analysis, utilization and research of the IoT data. A virtual IoT security lab will be jointly established to research and discuss the technical development, threat development and system architecture of IoT security. The lab will also be utilized to share the updates and research result on IoT security, build IoT information security related products, and jointly promote broader and deeper application of IoT security products and solutions.